Home » Posts Tagged "5:31 Jerome"
Seen on Scene 4. Here’s some of the Fab Fashionistas out on a chillingly cold night for the 5:31 Jerome New York Fashion Week Presentation for Fall 2016. 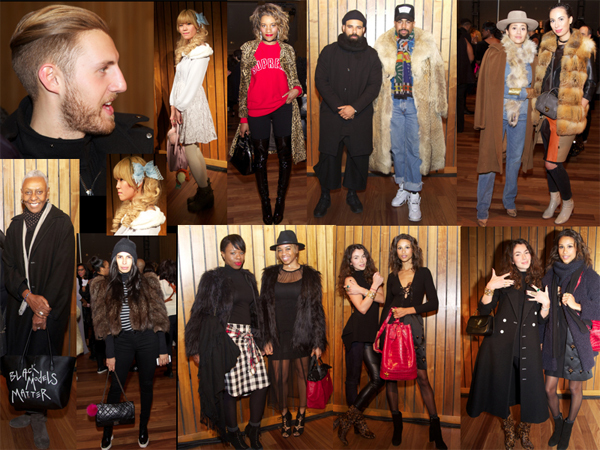 Top, Left to Right: Griffin Hoffman, VP Somerset Partners … Alice TY says she is a “Film Producer, and a magical girl, an explorer of the world, who inspires people to be cute.” … Danielle Prescod, InStyle Accessories Editor, wearing Supreme, vintage coat, Weitzman boots … Anthony Tony, Designer with Quentin Washington, Fashion Editor, wearing what looks like a warm vintage fur coat … Left: Fashion Blogger, Julia M. Lang, wearing Jane Basina, Ferragamo and 2nd Day Official with Style Blogger, Rebecca Alaniz, in MaxMara and Helmut Lang.